Established in 1997, United Lawnscape, Inc. has been helping clients create beautiful outdoor spaces throughout the greater Metro Detroit area. We specialize in complete residential and commercial landscape design and construction. We bring value to our customers by delivering unique designs, exceptional workmanship, professional service and quality materials. 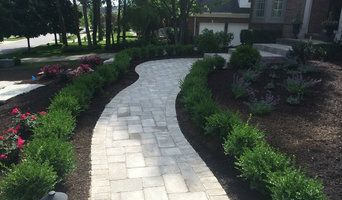 We are a design/build landscape company in Michigan. Our clients are a select group of discriminating homeowners who demand excellence in design, execution, project management, and customer service. Outdoor Expressions has been creating one of a kind landscape environments for clients in the Tri-County area since 1992. Outdoor Expressions is large enough to handle all your landscaping, lawn, snow and ice management needs, but small enough to care about you as a customer. We excel in providing residential and commercial landscaping solutions. With many years of experience, we pride ourselves on providing you, the consumer, with quality work at a reasonable price. For more information or to schedule a free consultation to review your landscaping, lawn and/or snow and ice management needs, call us at (248) 574-8349. Landscape design is an art and like art there are many different styles. Landscape design should speak of its time and place but support timelessness. Our landscape design style can mainly be described as English Garden but can really include styles like French Garden and Natural Styles. You can find your Landscape Design Style Here. Executive Landscape employs the top landscape designers and installation teams who are trained and certified in their appropriate fields. We create “real life” imaging that details the landscape design with pinpoint accuracy. Starting your project off by meticulously designing the landscape will help ensure the entire landscape installation will run efficiently and smoothly, hence, lowering the overall price of the landscape design and installation project. Our models are designed with precision in mind and that is reflected into our landscape design documentation ensuring a seamless transition from three-dimension imaging to real life installation. Not only do we design landscape beauty and elegance and showcase that with the 3D imaging, but we also make precision documentation of the design or backyard landscaping we are prepared to install. We have been providing top quality landscape solutions for over 27 years. We can provide plants, pavers, ponds, sprinklers, lighting & more, all rolled into one complete project at competitive prices. At GLC we do more than simply plant shrubs, arrange trees, and lay brick pavers. We create a complete visual package that works with your home and surrounding community. GLC Lawn, Landscaping & Snow Removal LLC employs only the most well versed, well rounded, and expressive landscape professionals. You will absolutely love the work we do for you, whether it's redoing your front yard, new patio, industrial complex, or homeowners association. At GLC Lawn, Landscaping & Snow Removal LLC, we proudly service the Downriver area as one of the elite full service landscaping contractors. Thweny's outdoor services prides ourselves in our meticulous work ethic and client relation and attention to detail. Our primary focus is to bring the customers visions to reality. Great Escape Landscaping has been providing full service landscape solutions for over 28 years. Whether it be a new construction, or want to update an existing landscape with a new design, we have a professional, knowledgeable and experienced staff to assist. We can provide plants, pavers, ponds, sprinklers, sod, lighting and more, all rolled into one complete project at a competitive price. We are a family owned business that values customer satisfaction. You will see an owner on site during the project from beginning to end. We pride ourselves on the personal attention paid to each and every customer. Great Escape Landscaping combines creativity with practicality to produce distinctive, picturesque landscape designs for homeowners to enjoy with their family and friends. Great Escape Landscaping strongly believes in meeting your requirements by exceeding your expectations. It begins with the owner, who is dedicated in hiring and training quality, experienced foremen to assist the owner in the coordination and installation of each project. The owner selects superior quality materials from the finest suppliers in our area for each individual project. Through integral efforts the craftsmanship, creative license, and hard work of each individual are successful. Great Escape Landscaping pledge’s to see your vision become a reality. Our Landscape Architectural consulting services help guide your choice of material, quantities of stone necessary for installation as well as the appropriate techniques. Our cutting edge landscape design/build firm has offered installation services for over 40 years. We produce an imaginative approach to commercial and residential environments using a combination of talent and unique products that keep us in the forefront of the industry. Our Advantages: OVER 40 YEARS EXPERIENCE IN LANDSCAPE INDUSTRY. Extensive knowledge and best practices implemented in both residential and commercial projects. EXPERT STONE INSTALLATION AND PLACEMENT. Utilizing the latest engineering to maximize the structural integrity as well as aesthetics. CONSULTATION SERVICES. Assist in the pre-planning phase and job costing services. Mow On The Go provides our commercial and residential clients with prompt and dependable Landscape & Snow/Ice services. Our fleet of equipment and properly trained technicians ensure that your job is handled with the effectiveness and professionalism you demand. In doing so, we ensure our success and well being of our clients and our organization. So when the time comes, we quickly get the job done. Making your property a safe place for residents, employees and visitors. Superior Lawn & Landscape, Inc. is your total landscape solution. We focus on creating inviting and attractive landscape designs for residential and commercial clients throughout the North Oakland twp., Flint, Fenton, Grand Blanc and Davison, Michigan areas. Our landscapers have a wide range of experience in a number of areas including general lawn care, hardscaping, irrigation and landscape design. Since 1994, we’ve transformed ho-hum exterior spaces into comfortable and stylish retreats. Our creative designers and talented installers bring new life to landscapes in Fenton, Grand Blanc and Davison, MI areas. You don’t have to go anywhere else to get started on your landscape revolution. We offer everything you need here at Superior Lawn & Landscape. Schedule a time for your consultation today by calling 810-233-0233. Thweny’s Landscape Service is a premier, full-service landscaping firm that is devoted to providing the best craftsmanship possible. At Thweny's we pride ourselves on maintaining an efficient and stress-free job site. Small but skillful, our 16 employees take pride in the core values of the business, upholding themselves to the highest standard of work. Our average employee has been with us for over 12 years. Jason, the owner, views his clients as partners, not simply customers. His dedication to his work, his clients, and his team members in unmatched. Landscape Design and Installation. Family owned and operated since 1979. All your landscape construction needs at one place. We do it all. Quality construction practices and excellent service is top priority. We create living landscapes with a sense of place using native and nearly native plants in a naturalistic style. From a small urban garden to installing 25 acres of native seed, we can help you select the right plants for a long-lived, low-maintenance, low-input garden that is beautiful and alive with life. Integrity Construction & Concrete L.L.C is a company founded on high quality construction services and excellent customer service. Our reputation is all we survive on and we embrace that privilege. We provide a full range of Interior services from Kitchen & Bathroom remodeling, Tile, Laminate and Harwood Flooring , Granite Countertops, Paint & Drywall, Basement finishing. A full range of exterior services from Landscape Design & Install, Stamped Concrete, Brick Paving, Sod and Irrigation. Poseidon Ponds & Landscaping began in 2012 in Dexter, Michigan. Our mission is to work with our customers and devote our time to helping them create, enhance and maintain their outdoor living spaces. We strive to provide the perfect solutions for both residential and commercial clients in landscape installation, pond and water feature installation, landscape maintenance, pond and water feature maintenance, storm water management and snow removal. We also pride ourselves in being professional individuals while working with our clients. We have a specialist in each division of our company so we are better able to answer your questions correctly. We are continuing to educate ourselves in this industry so we can exceed industry standards and practices. Barkman Landscaping has been designing, building and maintaining landscapes since 1985. Our staff is the most highly trained and skilled in the industry and represents our company values of honesty, integrity, education and creativity every day. We are also a Licensed Builder in the State of Michigan and have a unique understanding of code requirements and how your landscape can properly tie into your home. Put's Ponds & Gardens is embarking on our 32nd year of designing, installing and maintaining ponds & water features throughout Wayne, Oakland, Macomb & St. Clair Counties of Michigan & parts of Ohio. We install custom water features for you home, work, club, organization or community. We work with the natural surroundings to create low maintenance, living water gardens and koi ponds that stay healthy with minimum effort. We have years of experience designing and building ponds and absolutely guarantee our client's satisfaction. Ponds and water gardens are complex ecosystems and require a balanced system to keep the water clean, clear, and healthy. Put's Ponds & Gardens offers professional consultations on everything from pond design and installation to water quality testing. Whether you need ideas for improving the aesthetics of your pond or fast solutions to a sick pond, we're here to help. Over the years, we've designed, constructed, and consulted on well over 2,000 water features around the state. This experience has made us widely known for the personal artistry that goes into each one of our designs. When you work with Put's Ponds & Gardens, you're working with the best in Michigan! Our reputation of having outstanding customer service precedes us on every job. We truly believe that we're not just installing a pond or pondless waterfall, we're constructing a one-of-a-kind piece of art. Not gifted with garden tools? Professional Rochester landscaping companies are your best bet to get lush, lovely grounds year round. Hire a landscaper to create and maintain a beautiful yard that complements your home and blends into its native setting. 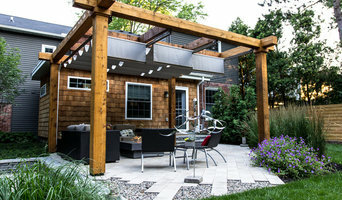 From soil, grasses and plants to decks, walkways and patios, Rochester landscape contractors are well versed in the components that make up a functional and visually pleasing outdoor living space. 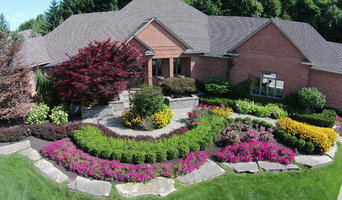 Learn more about how a landscaping company in Rochester, MI can help you with your yard below. What does a Rochester landscape contractor do? Landscaping contractors execute lawn, garden and hardscaping plans that have been drawn up by an architect or designer. They may also provide design services on their own. After the everything has been installed, landscape companies can make adjustments, maintain plantings, take care of weeds and pests, and perform other tasks to keep the scheme looking its best. A licensed Michigan landscaper should have detailed knowledge of Rochester, MI weather and climate trends and conditions, and can choose plants and materials that are well suited to the area. Residential landscape companies in Rochester, MI also handle many of the same general duties as builders, including arranging for construction permits, hiring subcontractors and making sure that designs comply with Michigan building codes. Find Rochester landscaping services on Houzz. 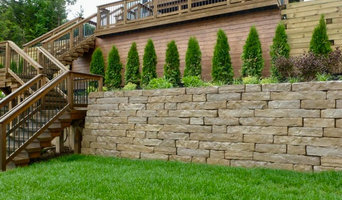 Narrow your search in the Professionals section of the website to Rochester, MI landscape contractors. You may also look through photos of Michigan landscapes to find one you like, then contact the landscaping company in Rochester, MI who worked on it.